Paul George wears No. 24. 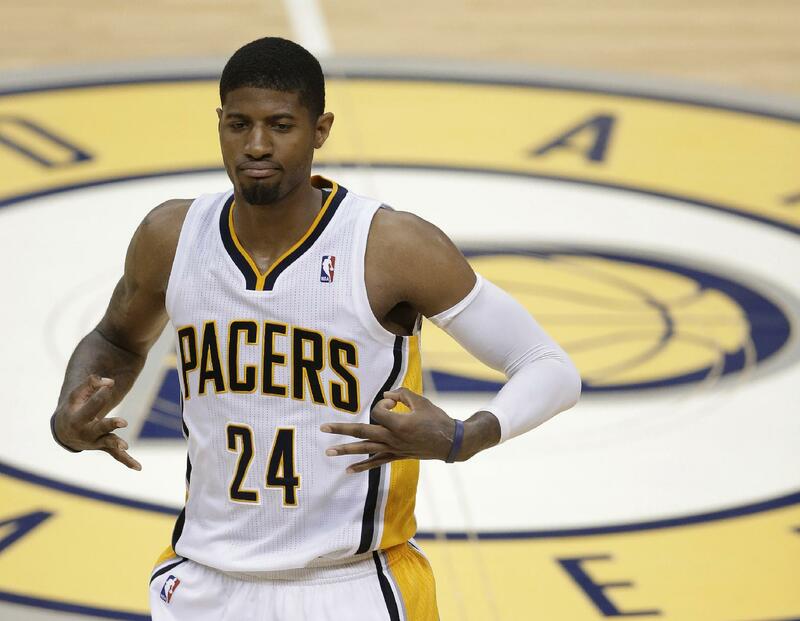 There have been talks over the past couple seasons that he should change his number to 13 so they can call him PG-13. You know, because creativity with nicknames and numbers is the in thing right now with CP3 Chris Paul and D-12 Dwight Howard out there. And he decided that he will do just that. So George, wanting to build his brand and establish his own nickname, will buy up all the current jerseys that bear his old number so he can make this new change. Nicknames used to be organic. Players used to be given nicknames, not take something and create it for themselves. But in this money-hungry world, where people are all about their own image, here we go. The nickname is nice, but I will never really go for it since it was just a creation for marketing purposes. It’s not really a nickname when you give it to yourself. Giving yourself a number change so people can call you something they’ve wanted to call you is just dumb. Hey Norris Cole. When are you going to change to No. 17? This entry was posted in Indiana Pacers, NBA, Numbers, Uniforms & Design and tagged Paul George. Bookmark the permalink.